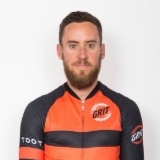 Grit – Always Reaching Further coaches Logan, Emma and Chris help you to reach further and achieve more whether your goal is breaking into the top tier of elite racing in NZ, make your goal time in a particular event or simply improve fitness with greater direction and purpose. We have 4 main coaching programmes to suit different needs plus one on one and groups sessions. This package is our premium coaching package for those who are serious about taking their cycling to the next level. This is not just for advanced level athletes but also aimed at beginner level athletes who maybe need more contact and more feedback from Logan. This programme includes the use of WKO4 and Training Peaks software. Regular weekly training feedback and analysis as well as access to all bunch rides and group training sessions. This programme offers womens specific coaching and a custom training programme designed for women. 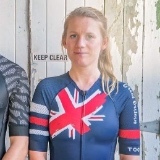 Emma will help you stay motivated to complete your training making you fitter, faster and stronger. You will also be able to join group training sessions designed to push you while keeping it fun and enjoyable. You will receive a weekly training plan, get regular feedback and ongoing support. You will have access to the online members area, Grit events and skills clinics. Grit Strength Clinic is lead by Chris Maddren our resident strength and conditioning coach. Chris offers a very under utilised aspect of training in cycling. Chris will create you a programme aimed at increasing strength and mobility and undoing some of the imbalances cycling can cause. Strength Clinic aims to make you a more robust and complete athlete without compromising your important training on the bike. The Grit Academy membership allows you to have access to the online members area and phone app which has articles and forms created by logan and members within the group. Plus Grit events and group training sessions. These include skills clinics, group challenges and training sessions as well as support at selected events.